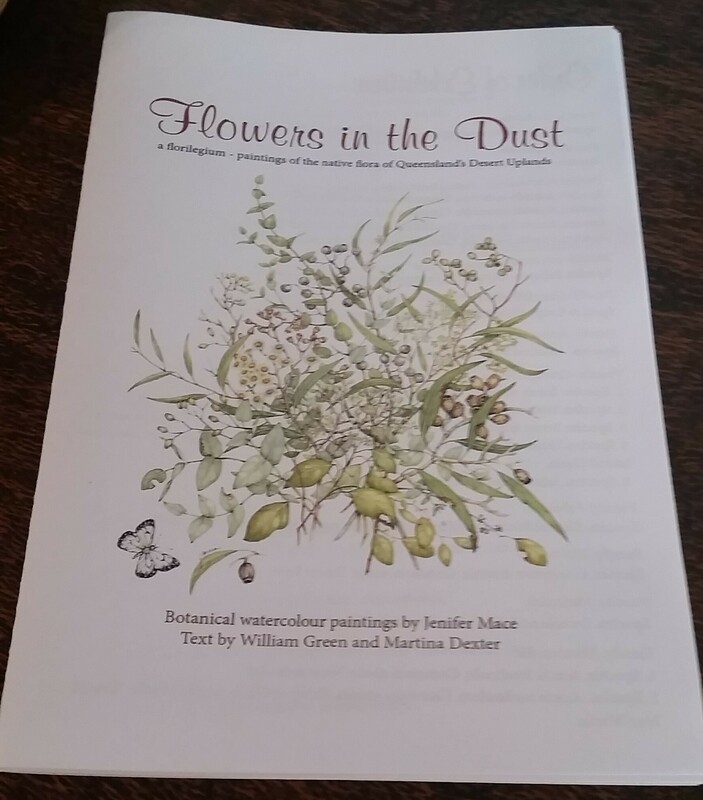 Jenny Mace is a botanical artist who is dedicated to capturing some of Queensland's fragile floras into beautiful natural watercolour paintings. 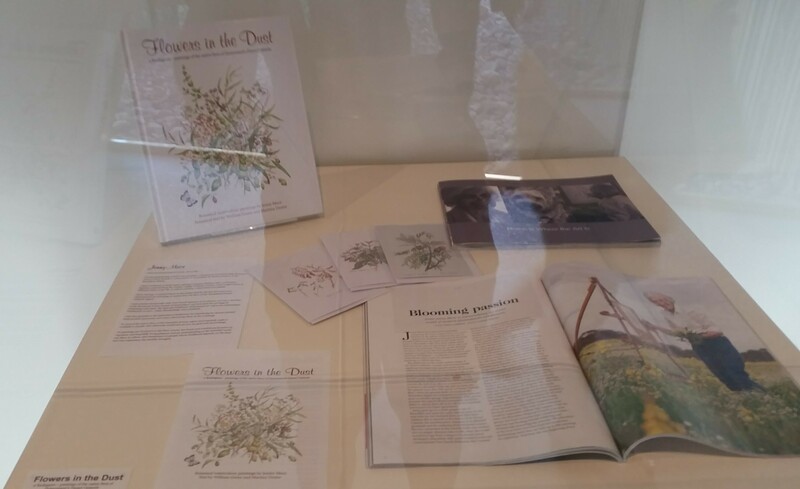 As part of her new book Flowers in the Dust published in 2017, Jenny Mace has a temporary exhibition at Waltzing Matilda Centre's Art Gallery on 50 Elderslie Street, Winton Queensland. Jenny's paintings are radiant with lots of interesting colours. 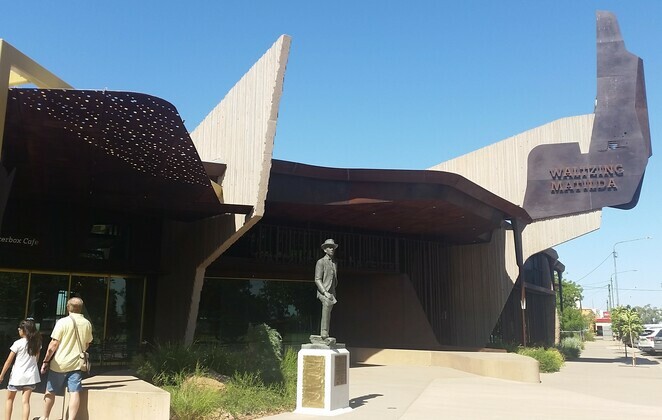 Since 2010, Jenny Mace, who grew up near Barcaldine east of Longreach in Central-West Queensland, has painted around 500 flowering plants of the desert uplands of Queensland. 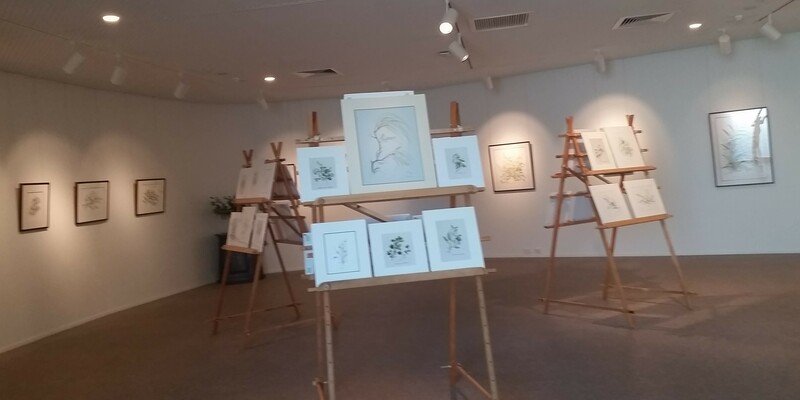 Cymbidium orchid (Cymbidium canaliculatum), an epiphyte and native hibiscus, can be found in Jenny's watercolour paintings. Jenny combined art and basic science of botanical illustrations for educational purpose, ecological awareness, as well as the enjoyment of these beautiful floras. With the help of so many people that bring new flora specimens (Jenny called them an army of flower gatherers), Jenny will remain compelled to paint the plants' specimens in her home studio. For more information about Jenny Mace painting exhibition "Flowers in the Dust, Paintings of the Native Flora of Queensland's Desert Uplands" please visit Waltzing Matilda Centre's website.